Our 180 pilgrims are arriving on several different flights. We have a gorgeous hotel here in Athen and Mass begins at 6:00 PM followed by a great dinner. Tomorrow we jump the bus and everyone heads to the Orient Queen, or ship for the voyage in the Footprints of St. Paul. Enjoy the video below which documents our arrivals and preparation for the voyage. Included is me using a map to show you where we will be going on this cruise. Dr. Scott and Kimberly Hahn, myself and Mike Aquila will be giving talks along the way to educate our pilgrims and help make the Bible and these biblical sites come alive. Day 3: “Ahoy” We sail. Island of Patmos; St. John’s Revelation Ascended the mountain to the cave where St. John was in exile on the Island of Patmos in the Greek Islands. It was here he received his Revelation which became the last book of the Bible (Revelation 1:1-4). Great beauty and grandeur in the countryside. Profoundly moving to pray in the cave where The Lord appeared and from where St. John saw Mary as the Queen of Heaven (Revelation 12:1). 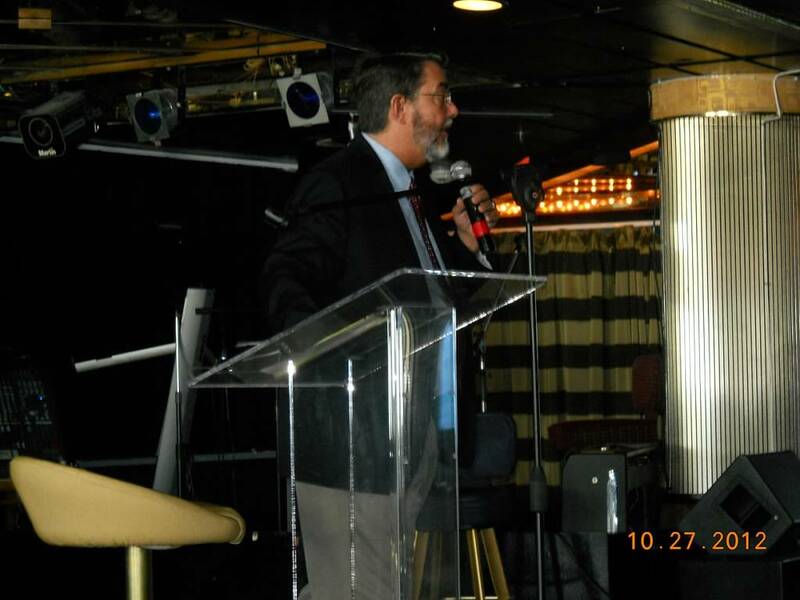 Excerpts from today’s talks and free time to enjoy the ship or to visit Myconos. Rhodes is quite beautiful. We spent the day touring the wonderfully preserved medieval city, then down the coast to the bay where St. Paul disembarked from a ship 2,000 years. Climbing the Acropolis in Athens; Listening to St. Paul on Mars Hill We made our final debarkation from the ship and took our four buses for a tour of Athens. We then arrived at the most popular, impressive and historical site in Athens: the Acropolis with the Parthenon dedicated to Athena over 2,500 years ago. But my favorite place in Athens, by far, is Mars Hill (Areopagus) where Paul addressed the Athenians in Acts 17. Three parts today. Tour of Corinth and outdoor Mass where Paul stood. Second are my talks at exciting places and third Dr. Hahn’s talk and more.